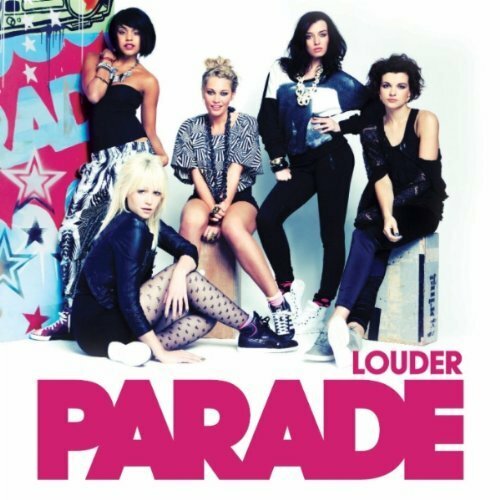 We’ve heard nothing of them over here in Australia just yet, but on Monday, Atlantic Records’ new UK girl group Parade will release their debut single ‘Louder’ in their homeland. The feisty new fivesome are Emily, Lauren, Bianca, Jessica and Sian and they’ll no doubt be hoping to fill the gaping chasm left by the (hopefully temporary) hiatus of Britain’s No.1 girl group Girls Aloud. The girls are putting in the hard yards too, traipsing the length and breadth of the UK to perform and sign for their ever growing legion of fans. The track’s not too bad either. And though metallic helium balloons spelling out the band’s name do not a video clip make, things are redeemed a little when a hundred or so friends turn up for a little house party, there’s dancing and the odd firework. Check them out at www.paradeofficial.com. No word yet on any local action.